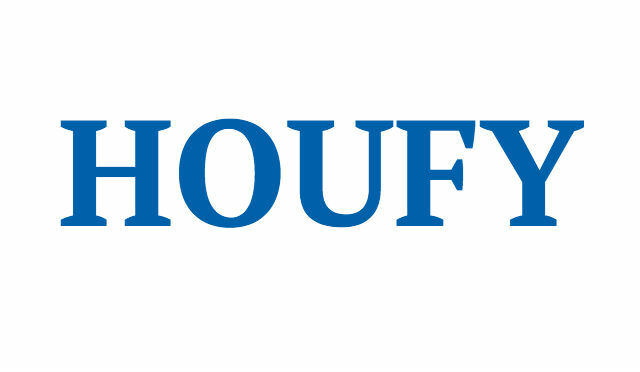 To follow Rainer Doerfler, please log in to Houfy or create an account. This beautiful 2615 sq.ft. 3 bedrooms, 2 bathrooms, saltwater pool home, built in 2010, sits in a gated community in the south of Winter Haven, Florida, and features everything you need for a relaxing vacation. The home provides a large fully screened heated saltwater pool, table tennis (ping pong), cable TV, WIFI internet, electric fireplace and more and is only 5 minutes away from LEGOLAND, 35 minutes to all Disney Attractions, Universal Orlando, and 50 minutes to Busch Gardens. Watch the view over Round Lake and enjoy the sunsets as you sit out on the patio and relax under the stars. there is a code lock at the frontdoor. You'll get the code by email. NO SMOKING – Smoking inside the house is NOT permitted. Smoking inside will result in loss of damage deposit in full. You may smoke outside. PARKING – A driveway is provided for your parking needs. You are NOT allowed to park on any of the grass in front of your vacation home. Do NOT park on the street. By doing so you are in violation of CITY CODE. The home owner will receive a ticket for this and pass the cost along to the person who made the reservation. No oiling cars on the driveway, otherwise you’ll be charged with $100 for cleaning from the deposit. you'll find toiletpaper and trashbags for the first time. All other is to your own. SALTWATER POOL – Guests acknowledge that lifeguards are not provided. Guests are responsible for the safety of themselves, their children, and their guests. Pool is for guests use only. ENTER AT YOUR OWN RISK. DAMAGE / RESERVATION DEPOSIT – A reservation deposit of 20% (minimum $500) of the amount is required. This must be received within five (5) days of booking the reservation. The deposit automatically converts to a security/damage deposit upon arrival. The deposit is NOT applied toward rent; however it is fully refundable within fourteen (14) days of departure, provided the following provisions are met. • The unit is left locked. enforcement, or the security company employed by My Community. PAYMENT – An advance payment equal to 50% of the rental rate is required sixty (60) days before arrival. The advance payment will be applied toward the room rent. Please make payments via personal checks payable to Rainer Doerfler. The advance payment is not a damage deposit. The BALANCE OF RENT is due twenty (30) days before your arrival date. FALSIFIED RESERVATIONS – Any reservation obtained under false pretends will be subject to forfeiture of advance payment, deposit and/or rental money, and the party will not be permitted to check in. TRIP CANCELLATION INSURANCE – To protect your vacation investment, please consider purchasing travel interruption insurance. MANDATORY EVACUATION – Cancellation or early departure due to inclement weather including hurricanes, mandatory evacuations or states of emergency, does not warrant a refund for rent or deposit. Purchase of Trip Cancellation or Interruption is highly recommended. CLEANING – Your accommodations will be cleaned before you arrive and after you depart. Bed and bath linens will be provided. Guests are responsible for laundry needs during their stay. Please strip beds of sheets when checking out. It would be very helpful to housekeeping if a load of laundry could be washed and placed in dryer prior to your departure. Please do not overload the washer. All dirty dishes must be placed in dishwasher and put back in cabinets. All trash is to be placed in trash container outside upon your departure. Please do not leave trash in house. All your food should be removed from refrigerator and freezer. Unopened cans or bottles of items are fine to leave in the house. Please to not leave any sugary items as this attracts ants. Trash is to be placed in wheeled trash containers and moved to street on the appropriate days as stated in your info book at the residence. All your trash must fit in the large wheeled trash container and the lid must close upon your departure. If you have excessive trash that does not fit in the container you will be charged a fee to have it removed. CLEANING – Your accommodations will be cleaned before you arrive and after you depart. Bed and bath linens will be provided. Guests are responsible for laundry needs during their stay. Please strip beds of sheets when checking out. It would be very helpful to housekeeping if a load of laundry could be washed and placed in dryer prior to your departure. Please do not overload the washer. All dirty dishes must be placed in dishwasher and put back in cabinets. All trash is to be placed in trash container outside upon your departure. Please do not leave trash in house. All your food should be removed from refrigerator and freezer. Unopened cans or bottles of items are fine to leave in the house. Please to not leave any sugary items as this attracts ants. Trash is to be placed in wheeled trash containers and moved to street on the appropriate days as stated in your info book at the residence. All your trash must fit in the large wheeled trash container and the lid must close upon your departure. If you have excessive trash that does not fit in the container you will be charged a fee to have it removed. PETS – NO pets or animals allowed. BARBECUE GRILL – Please use caution when grilling. Clean after every use or you’ll be charged with $50 from the deposit. NO COINS OR METAL OBJECTS IN POOL! Due to the saltwater, metal corrodes quickly and leaves dark spots on the surface. Metal in the pool will result in loss of damage deposit. you'll need a car. When you come from Orlando or from Tampa go on the I 4 and use exit 55, then go 27 south until you see on the right side 540 (Cypress Gardens Blvd.) make a right turn. On the left you'll see Walmart, go straight ahead. On the right is a 7/11 gasstation and on the left is a McDonalds. Make a left turn to Lake Ruby Dr. and then straight follow the street. On the end of the street 500 yards before you see on the right the subdivision "Mandolin". Make a right turn.